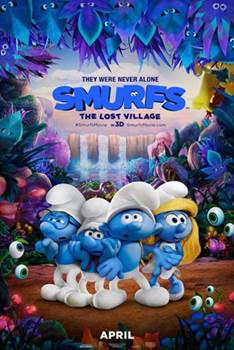 SMURFS: THE LOST VILLAGE will be showing in a theatre near you for one day only, TOMORROW! People will have an exclusive opportunity to watch the full movie before it opens on April 7! You and your family can check out the special sneak previews of SMURFS: THE LOST VILLAGE taking place Saturday, March 25th at theaters across the country. You can find more information on tickets and show times at http://www.smurfsmovie.com/.